A stylish and affordable way to combine and present beach, fitness or golf towels or any Cabana Bay� gift. The optional imprint on the reusable bag serves as a lasting reminder of your company�s message. All Travel Bags include Cabana Bay� logo on bottom right corner. Travel Bags are included free without a custom imprint with all orders for robes, slippers, and the Breakfast Tray Gift Set. When ordering Cabana Bay� Gift Sets Travel Bags are placed beneath the robe. 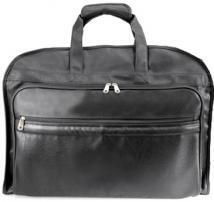 Imprint area:10�w x 12�h Size : 17.5" W x 23" H.
Grab & Go Stuff Bag. Size : 9 1/2" W x 8 1/4" H flat Imprint: 6 3/4" W x 3 3/4" H. Weight: 29 lbs/150 pcs. Standard Packaging: Bulk. A stylish and affordable way to combine and present beach, fitness or golf towels or any Cabana Bay� gift. The optional imprint on the reusable bag serves as a lasting reminder of your company�s message. Travel Bags are included free without a custom imprint with all orders for robes, slippers, and the Breakfast Tray Gift Set. When ordering Cabana Bay� Gift Sets , Travel Bags are placed beneath the robe. Screenprinted price includes: Maximum one color imprint, front only. Size: 17.5�w x 23�h Imprint area: 10"w x 12"h.
High Quality Toiletry Travel Bag High Density 70 Denier Water Resistant Nylon Heavy Duty Stitching / PVC Liner Extra Large Front Zippered Pocket. Imprint Area : 7" wide x 4" high. Bag Size : 10 1/2" W x 6 1/4" H x 4" Gusset. Qty / Master Carton : 100 pcs / 42 lbs. Additional Color : $0.25. Reorder Setup : $25. PMS Matching : $40. Made Of 110 Gram, Non-Woven, Coated Water-Resistant Polypropylene Identification Window Front Zipper Lightweight And Very Durable. 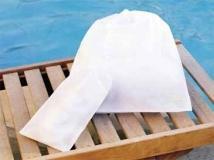 Approximate Bag size: 23" W x 39" H Imprint Area: Opposite ID Window: 5" W x 6" H Packaging: 50 per carton @ 16 lbs. Durable polyester fabric Full length zipper. Size: 22"W x 40"H Imprint Area: 4.5"W x 3"H / Crest Product Weight: 29 lbs. per 50. The Performance Collection, Travel bag that disappears when empty, Three winning corporate colours include - black, green, blue, Easy fold away zipper pouch for simple storage, 210D Nylon fabrication. Size : 22"w x 10.5"h x 10.5''d WT/PC: 18 lbs./50 units (master carton) Packaging: Bulk pack. The Green Garmento? 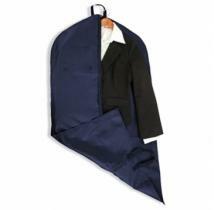 is an eco-friendly 3-in-1 reusable garment bag that will help consumers ?green? their drycleaning routine. The simple step of switching to The Green Garmento? will help to reduce the estimated 300 million pounds of single-use plastic drycleaning bags a year that go into our landfills. The Green Garmento? is like a reusable grocery tote for your clothes that is eco-practical, stylish, and affordable. Be fantastic and use less plastic with The Green Garmento?! 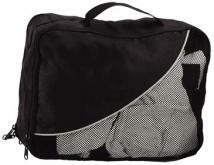 Size: 25" x 48" x 5"
Ultra-light weight 210D nylon and breathable mesh come together to create this compact travel bag. Perfect to pack with its dual compartments, that easily accommodates two pairs of shoes or plenty of socks & undergarments. Size: 14" x 10" x 4"
Perfect kit for the frequent traveler Kit includes: garment sleeve, shoe bag, fold-up tote, laundry bag and zippered carrying case. Materials: Non-woven Product Dimensions: 7.75"L x 7.5"H x 3"W Imprint Dimensions: Front pocket center 5"W x 4"H Shipping Information: Carton Size: 22"L x 11"H x 18"W Quantity: 25 Weight: 19 lbs. "The Pack-and-Go Collection" Be prepared for anything. 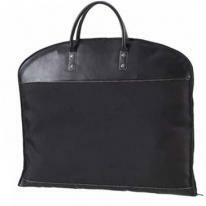 Features: Garment Bag, Drawstring Tote, Toiletry Bag, Foldable Tote, Laundry Bag and Cosmetic Bag 80 Gram Non-Woven 100%. Product Size: 8" x 3 1/2" x 10 1/2" Imprint Area: (on main bag only) 5" x 5". Packaging: WT/PC: 16lbs./16 units (master carton) Bulk: Bulk. 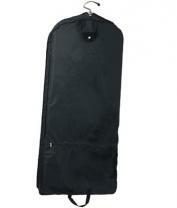 The travellers garment bag -Easy to use and easy to carry -Holds your garments securely to help prevent creasing -PVC nylon fabrication Product size: 23\" x 19 1/2\" Imprint Area: 12\" x 6\" WT/PC: 40 lbs./50 units (master carton) Packaging: Bulk pack. These bags are crafted in lightweight but durable 210D nylon. 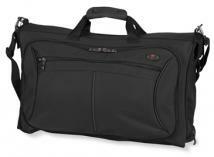 This ideal overnight garment bag features a zip pocket outside for accessories and comes with two heavy-duty hangers and leather wrap on the handle. Features a side zipper opening. Size: 48" x 22 1/2" x 3" Embroidery: Available & position same as imprint approx. 6" x 4 1/2". It's not just a bag: it's a fashion statement with your name Simulated leather 11"w x 12"h x 22"L Adjustable/removable shoulder strap Metal hardware Back zippered pocket Four stud feet 5"w x 3"h approx. imprint area 4 1/2" diameter max. embroidery area. 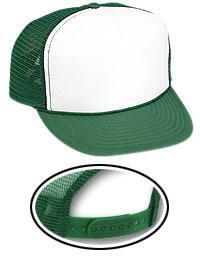 Durable 600D polyester. 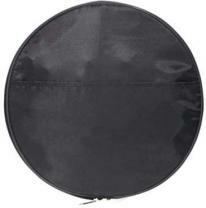 Full length zipper, secure locking hanging mechanism, outside zippered pocket. Carry handles and hanging loop. AVAILABLE IN BLACK/KHAKI ONLY Size: 21\"W x 40\"H x 4\"D Imprint Area: On pocket, below zipper - 4\"W x 2\"H Product Weight: 75 lbs. per 25. Add\'l. pricing for embroidery. Built-in shelf option is perfect for short trips - no need to unpack! Two removable mesh utility bags. Detachable/adjustable padded shoulder strap. Removable hanger with two padded tie-downs to minimize wrinkles. Protective corner piping. 1680D Ballistic Nylon. Starline Exclusive. Gusseted front pocket and large capacity rear pocket. Tri-fold design is carry-on and overhead friendly. Product Size (H x W x D): 14.00 x 21.00 x 7.00 Imprint Area: Front Center of Bag Packaging: Polybag Pieces Per Box: 4 Weight Per Piece: 5.50 lbs. Weight Per Box: 22 lbs. Case Dimensions (L x W x H): 25 x 15 x 16. Made of modern rip-stop polyester, Inside the main compartment, there are 2 brackets to hold 8 hangers, dual mesh pockets at the top corners to hold accessories, and 4 shoe pockets on the extension bottom which holds garments up to 56" long, The opposite side features 4 large pockets for shirts, socks, sweaters, etc. 3 zip pockets outside for laundry, It's extra large with lots of pockets, yet still lightweight, Also has a soft-grip handle and detachable shoulder strap. Imprint: Available on front zip pocket approx. 6" x 4" Bulky item. 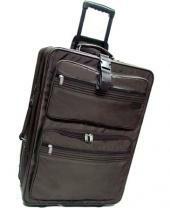 Size : 45" x 23" x 4"
Keeps your garments, suits or dresses looking sharp while on the go. 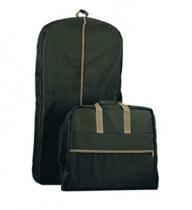 Large zippered garment storage area with elastic loops for attaching hangers holds one to two suits and several shirts. 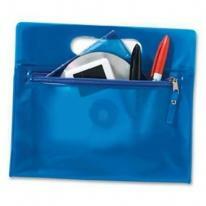 Spill-proof pocket and breathable mesh pocket organize personal items. 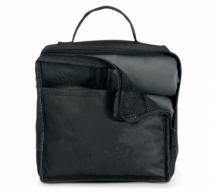 U-shaped zippered front compartment ideal for additional clothes or other items. J-hook handle for hanging over a door or in a closet, etc. 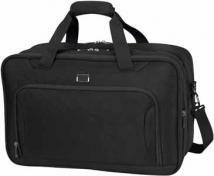 Padded, adjustable shoulder strap with anti-slip surface provides comfort and stabilizes heavy loads. Size: 23"w x 24.5"h x 2"d (unfolds to 49"h). Decoration size: 5"w x 5"h centered on front pocket. 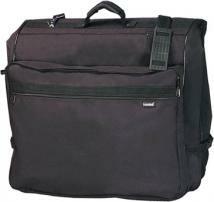 Made of 600D polyester, it has a sturdy pull-up handle and wheels to make it easy to roll around, Double brackets allow 8 hangers, Additional features include dual mesh pockets at the top, and 4 shoe pockets on extension bottom, which accepts garments, such as long dress, up to 54", Also have 2 zip pockets in the cover sleeve outside and a zip pocket to hold laundry, Detachable shoulder strap. Imprint: On front pocket, approx. 4"W x 2 1/2"H. Bulky Item. 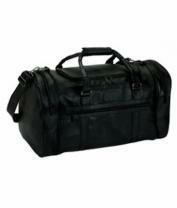 Size : 45"x 23"x 4"
Expandable Dual Compartment Carry-On with Removable Suiter. 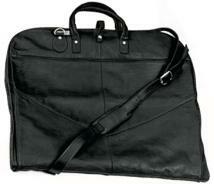 Ideal for a weekend getaway, this carry-on overnight bag fits perfectly in the overhead compartment. Main packing area features interior compression straps to secure folded items. 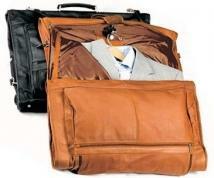 Large rear compartment features a removable tri-fold garment sleeve with hanging hook for shirts and suits. Expands 2" (5 cm) to increase packing capacity by 25%. Front, zippered organizational panel. Padded, adjustable shoulder strap. Top cargo handles with unifying strap. Size: 20"w x 13"h x 8"d (expands to 10"d). Decoration Size: 5"w x 5"h centered on front pocket. Made of supple NAPA cowhide leather, there are 3 zip pockets outside and 2 zip pockets inside, Two folds and a soft-grip handle complete this elegant piece. Imprint: On the reversed U-Shape pocket centered approx. 4 1/2" x 3". 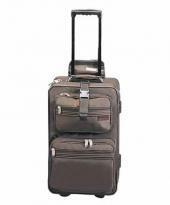 Size : 42" x 22"
Features a garment bag compartment on the lid with a metal hanger bracket set at the top to hold 4 hangers, dual mesh pockets at the top corners for accessories, 2 shoe pockets, and a mesh pocket on the extension panel. Also has 2 inside zip pouches, double gusseted compartments, and 2 zip pockets in front. Bulky items. 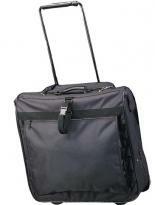 Size: 26" x 19" x 9 1/2"
Features a garment bag compartment on the lid with a metal hanger bracket set at the top to hold 4 hangers, dual mesh pockets at the top corners for accessories, 2 shoe pockets, and a mesh pocket on the extension panel. 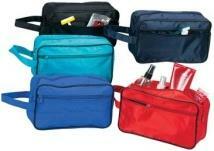 Also has 2 inside zip pouches, double gusseted compartments, and 2 zip pockets in front. Bulky items. Size: 29" x 21" x 10 3/4" Imprint: On front lower pocket approx. 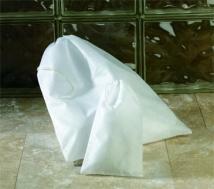 6" x 4" Package Info: Quantity: 1 pcs Weight: 53 lb Size: 32" x 14" x 23"
Vaqueta Garment Cover - Vaqueta Napa 4 Lbs. 1 oz. Werks Traveler 3.0 Collection: Garment storage area features a Wally clamp, foam bolster that prevents creasing, and a foam-bolster compression strap to hold garments in place. Front gusseted, zippered pocket, and two internal zippered pockets with zippered mesh pocket and key fob for personal accessories and travel documents. Removable, padded shoulder strap is contoured to comfortably fit the shoulder and dual haul handles with unifying grip. 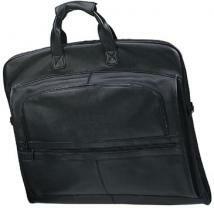 Rear zippered pocket with bottom zipper converts to a sleeve for sliding over wheeled handle systems. Size: 22"w x 13.5"h d x 4"d [unfolds to 41.5"h]. Decoration size: 4.5"w x 4.5"h centered on front near top. 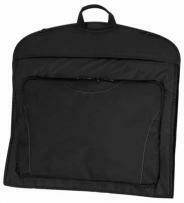 Vaqueta Deluxe Garment Carrier - Vaqueta Napa 6 Lbs. 7 oz.